Pendant lights offer focused lighting over your kitchen island. Pendants should be functional, lighting your work area for food preparation and serving. They should also be stylish, as the nature of pendant lighting puts it within your normal range of vision, unlike overhead lighting, making the light a piece of decor as much as a tool. The height for pendant lighting is primarily based on the height of your island, but some islands have more than one height if there is a breakfast bar attached. 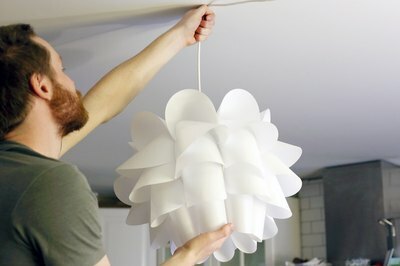 In this case, use the higher portion of your island for the pendant light height measurements. Measure the depth of your island, and then divide it in half to find the number of inches to the center. 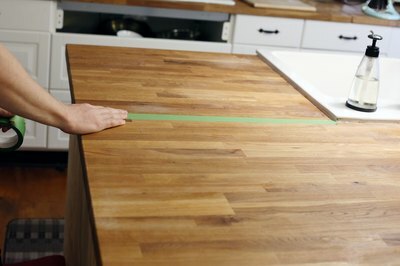 Place a line of masking tape along your island's length at this measurement. You will want each pendant light positioned over this line. Divide the length of your counter by the number of pendant lights you plan to install. 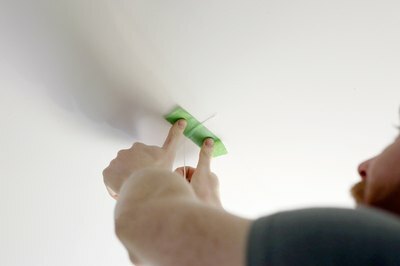 Place a short piece of tape across the long line to mark where the center of each light will hang. 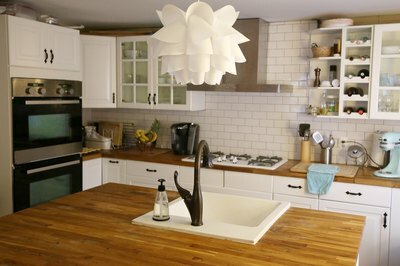 How many pendants you need for your island will depend on its size and how high you hang them, but two to three should be adequate for most islands. Climb a ladder until you can reach the ceiling directly above your island. 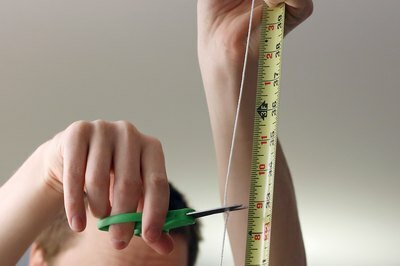 Tie a washer onto the end of a piece of string to weight it so it hangs straight, then position it so it hangs directly over an intersection where your center line and a crosspiece of tape meet. Cut the string and tape it to the ceiling. Repeat this process for each light. 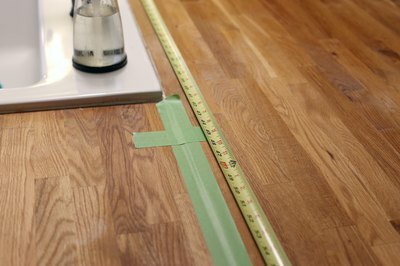 Measure 28 inches above the island counter along one of the strings if your island is 2 feet deep or less. 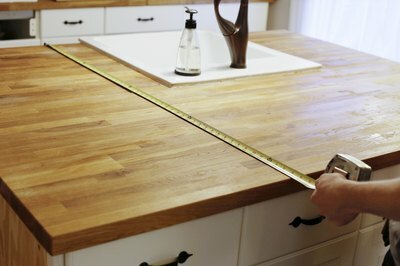 If it is over 2 feet deep, measure 32 inches above the countertop. Cut the string off at this height and stick a strip of tape across the end of the string. This is where the bottom of your light will hang. Repeat this for each string. Move around the island as you would if you were using it. 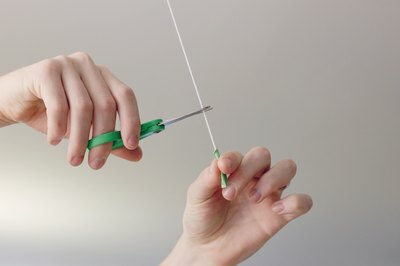 If you find the pieces of tape on the ends of the strings distracting or in the way, cut the strings a bit shorter. Hang your pendant lights in the final positions of your strings, and then remove the strings and tape from your island counter. Alluminaire: How High Over a Dining Table Should a Pendant Lamp Hang?